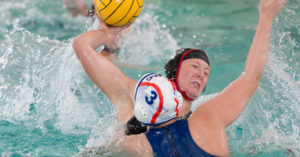 The Trojan men, after a valiant effort against Cal yesterday that ended in a tough loss, were firing on all cylinders in Palo Alto on Stanford’s Senior Day. 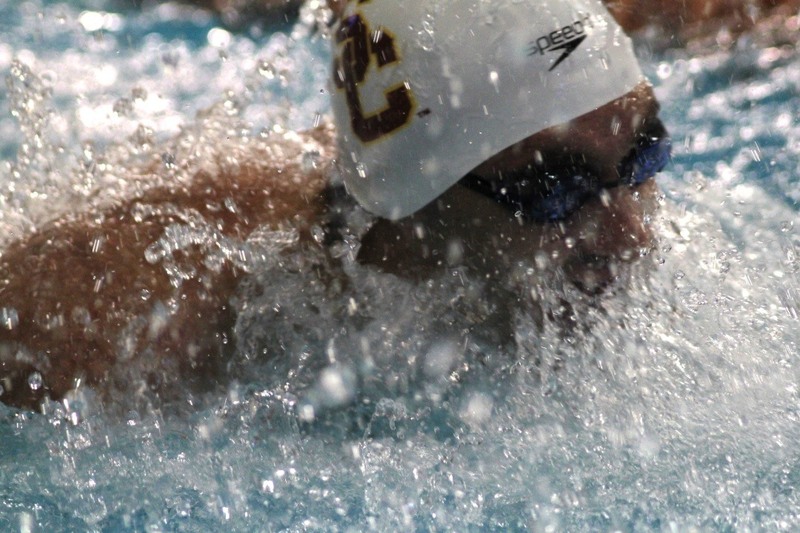 Ranked 22nd in the latest CSCAA poll, USC pulled off the opening 400 medley relay win. Stanford All-American David Nolan was out quick (47.38), nearly a second ahead of Trojan lead-off Luca Spinazzola (48.20), but USC’s Morten Klarskov out-split Daniel Le by almost a full second to bring the Trojans back to the Cardinal. Dylan Carter edged ahead of Gray Umbach, and Santo Condorelli split a 42.96 to barely hold off a furious 42.87 anchor from Stanford senior Thomas Stephens. USC took the event in 3:13.06 to Stanford’s 3:13.47. Interesting enough were some of the B relay splits. Ralf Tribuntsov of USC was the fastest backstroker in the field (47.33) while Stanford’s Andrew Liang was a monster 46.77 to post the fastest fly leg by far. Had these two been on their respective team’s A relays, it might have made for a faster, closer battle for first. The freshmen each had strong swims individually, as Tribuntsov grabbed 2nd in 47.63 in a head-to-head battle with Nolan (47.54) in the individual 100 back and Liang won the 200 fly (1:46.99) in a very close battle with USC’s Cary Wright (1:47.09). In addition, Liang took the 100 fly (47.87), making him the winner of 2 of Stanford’s 5 total swimming wins. Following the medley relay, the Trojans took the next two events. Freshman Pawel Furtek took the 1000 (9:10.30), while Cristian Quintero put together another 200 free win (1:37.54) after cracking 1:37 yesterday in a win against Cal’s Trent Williams. Quintero was also 3rd in the 50 free (20.27), an event that was won by Dylan Carter. Following the Trojan 1-3 finish in the 50 free, USC divers went 2-3-5 on the 3 meter. At the halfway point in the intense meet, the Trojans clung to a 5-point lead over the Cardinal. 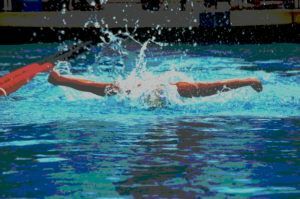 The Trojans were stifling the second half of the meet, winning the first four events following the first diving break. Condorelli, who won the 50 free yesterday against the Golden Bears, took the 100 free (43.51), followed by a 1:45.99 win in the 200 back from Wright. Then, Trojan breaststrokers touched 1-2 in the 200 breaststroke. The surprise winner was not Klarskov, however, but sophomore Steven Stumph, who broke the national public high school record in the 100 breast back in 2013 but failed to qualify for NCAAs last year as a freshman. Stumph was a good margin under the NCAA B cut and this marked his first time this season under 2:00, his previous best coming from the Texas Invite. Continuing the Trojan run was Quintero, who was much stronger in the 500 free today than he was yesterday. He was only 4:31 yesterday against Cal, but today cruised to a victory (4:26.73) over Stanford freshman Liam Egan (4:27.50). Stanford still had life left, as Kristian Ipsen followed up Liang’s 100 fly win with a top score in 1 meter diving, joining Liang as the only Cardinal double winners. Max Williamson (1:48.13) and Gray Umbach (1:49.80) then hit the Trojans with a 1-2 punch in the 200 IM as the Cardinal would not go out quietly on their Senior Day. The 400 free relay was another barn burner, as the race came down to the final leg. Both teams split 44’s on their first two legs, but Stanford freshman Sam Perry slipped under 44 (43.67) to edge ahead of Tribuntsov. Stephens, anchoring for the Cardinal, was looking to take home a win after being out-touched by Condorelli in the opening medley relay. 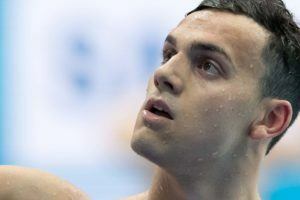 Quintero was coming off of a solid 500 swim and dove in with about a half-second deficit. The two were both out in 20.4s, but Quintero blasted a 22 low on the 2nd 50, splitting 42.71 to fly by Stephens and solidify the Trojan win. After a day of epic battles, USC came out on top, 157-142. The Trojans will gear up for a two day dual at Utah on February 20th and 21st to cap off their regular season, while Cal awaits Stanford in a Bay Area showdown on February 21st. Wow, some of those times would not even have scored in this dual meet in the 1980s! Katie Ledecky would have won the 500! The same joke for the 46th time, it becomes boring.